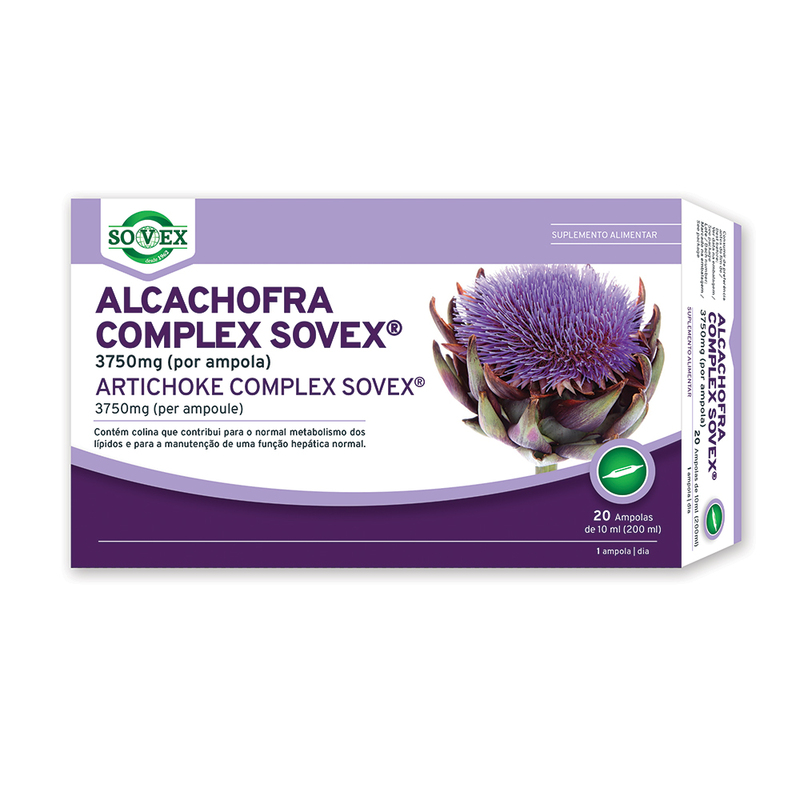 Contains choline that contributes to normal lipid metabolism and to the maintenance of normal liver function. Ingredients: Bulking agent (water), fructose, borututu / root, liquid extract (1:3) (Cochlospermum angolensis), artichoke / leaf, dry extract (10:1) (with 2,5% of cinnarine) (Cynara scolymus) (3,75%), choline (citrate), bold / leaf, dry extract (4:1) (Peumus boldus), flavor, acidifying (citric acid), preservative (potassium sorbate, sodium benzoate). Código Sovex: 00009E. Categoria: Export.